We have been the worlds biggest and best for serving the most demanding record collectors for 32 years! 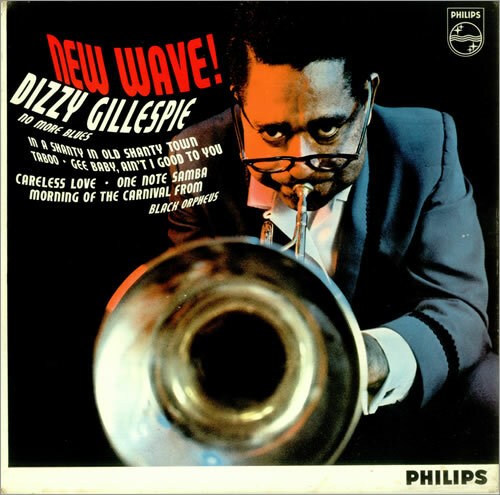 DIZZY GILLESPIE New Wave! (1963 UK 8-track mono LP on a rough textured black & silver label, a vibrant jazz bossa nova record arranged by Dizzy & Lalo Schifrin, including the tune 'Morning Of The Carnival' from the film Black Orpheus, front laminated flipback picture sleeve. The sleeve shows few signs of its age & the vinyl still looks barely touched or played 652021BL).